Wow! What a start to a new bounty hill season! 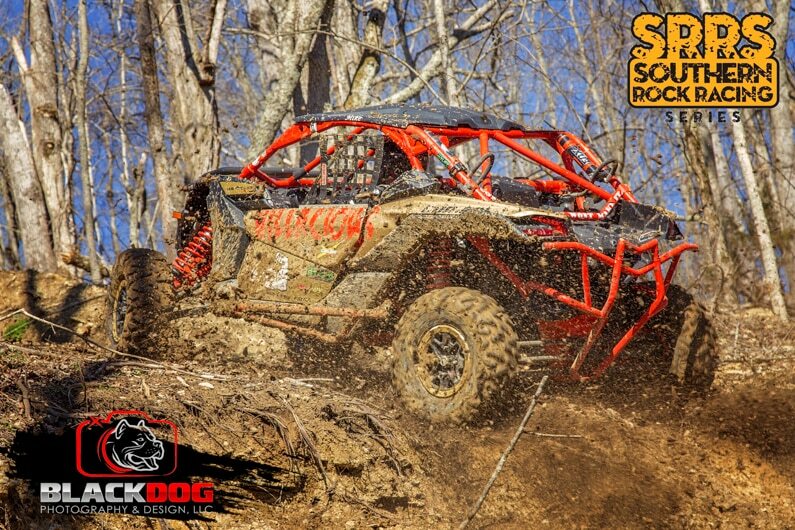 The first Southern Rock Racing Bounty Hill competition began at Dirty Turtle Off-Road Park in Bedford, KY the weekend of March 3rd. We left Friday night with our buggy sporting new sponsor stickers and all cleaned up for the event. The trip was about a three hour drive for us in the RV. The week prior to the event, Kentucky experienced flooding that hasn’t been seen in years. I knew to expect mud and a lot of wash-outs. I woke up early Saturday and headed to the hills to check them out. There were wash-outs and numerous exposed rocks. Disgusting ledges were staring back at me. I knew it was going to be a rough day for everyone. For the Bounty Hill Series, there are 5 hills for the day. Each competitor must climb each hill to advance to the next. You are allowed one roll over and 5 minutes on each hill to climb it. If you cannot make it or have a second rollover, you are disqualified. For the first time starting this season, hill number 1 is timed to determine tie breakers at the end of the day. There were 18 competitors present for the driver’s meeting that morning. I drew number 4, which meant on hill 1 I would start in the middle of the pack. I got the 2nd fastest time of the day with a 16:54. The last ledge threw me over to a nasty hop which cost me a little bit of time. Hill 1 did cause a few DNFs. Of course, hill 2 was more difficult. I had to back up once to get to the top of one steep ledge. I finished well within the 5 minute limit and proceeded to the next hill. Hill 2 took out even more buggies. Hill 3 got tough. I had seen this hill before during last season and it cost me three axles. Hill 3 had horrible ledges with overhanging rocks at the beginning. I got held up because of my trailing arms. After several attempts I made it. This hill took out all but 6-7 buggies. I got lucky when my belt waited to break at the top of the hill with my front wheels over the finish line. It was close. Hill 4 was after me!! I easily made it over the first ledge, but I flipped over on my top which cost me a point trying to defeat the second wall of rock. Then I struggled to get a straight line, but managed to finally get one and go. Only 3 of us made it to the top of hill 4. Hill 5 took out two of us. Only one buggy made it up hill 5. I flipped over trying to climb a wall that was straight up. I broke a front a-arm and bent the axle on the right front. I didn’t want to stop trying, but the crowd was waving that I was bent. 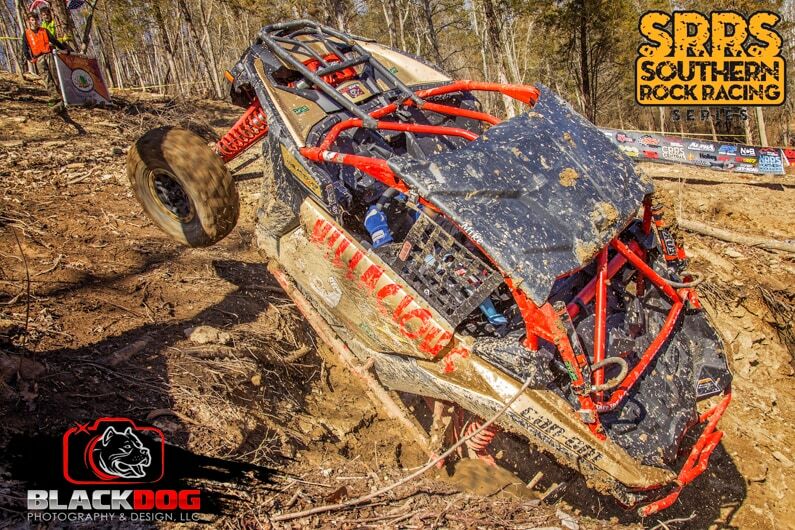 The roll over point cost me a 2nd place finish, but I got my Can-Am on the podium with 3rd place. We will take it!!! It was a good day for our full body Can-Am. 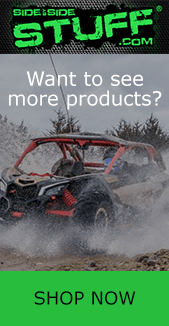 I set out to prove last season that a full body Can-Am would and could compete with custom made UTVs and I proved it last year and I’m off to a great start this season. This season I’m proud to welcome abroad K&J Strong Components. They are building my a-arms, swing arms, and radius rods to beef up my strength. 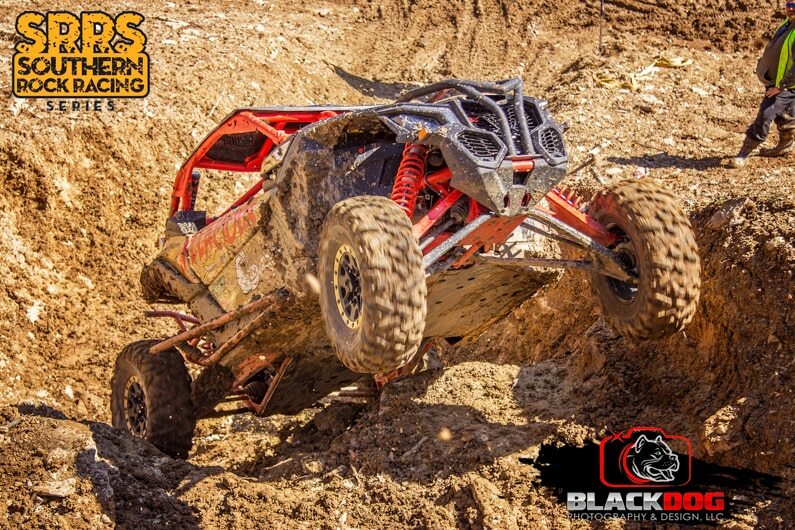 Black Dog Photography continues to put out the best pictures during the events. Adrenaline Cycles are an amazing dealership that stands behind me and my machine. 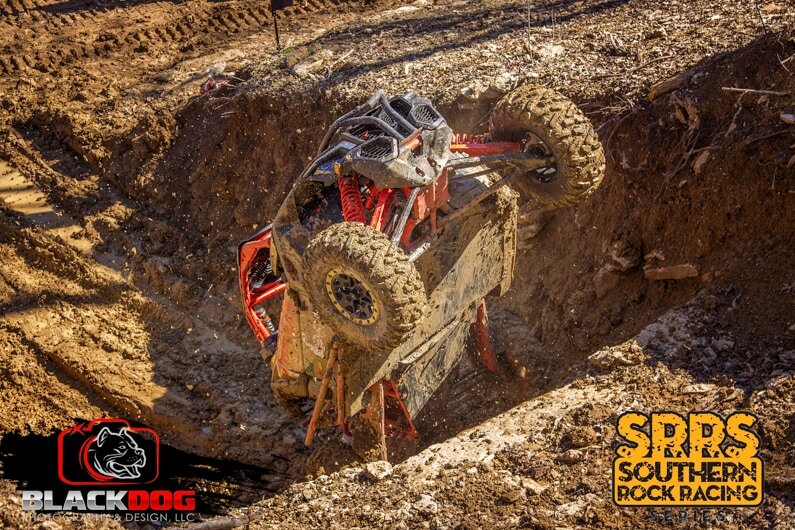 I’m looking forward to beginning the hill climb series for Dirty Turtle Off-Road Park called Bust the Shell in April and the next SRRS RCV Axle Bounty Series event is in May at Busted Knuckle Off-Road Park in Alabama.